Counsel for Chief Executive Leung Chun-ying argued in court on Thursday that a judicial review challenge over the validity of Leung’s oath was “academic,” as the outcome sought by the applicants would not have any effect on Leung’s office. 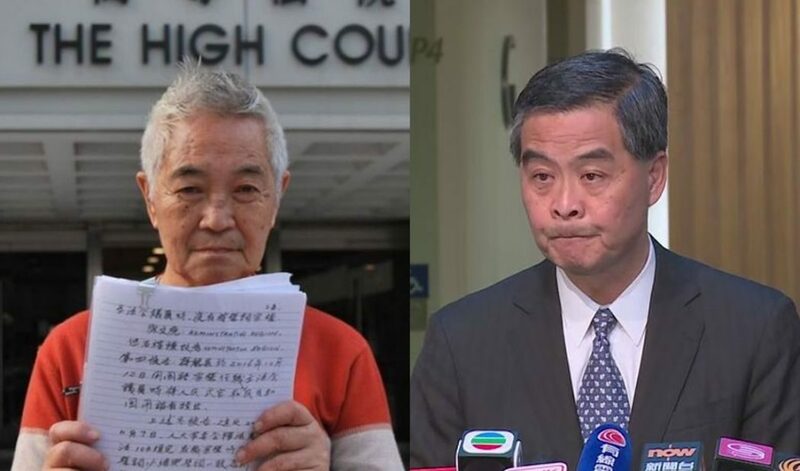 The lawsuit was filed last year by Cheung Chau resident Kwok Cheuk-king and retired photojournalist Cheung Tak-wing, following the government’s unprecedented move to challenge the oaths of two localist lawmakers and Beijing’s intervention in the legislature’s oath row. Leung Chun-ying (R), Kwok Cheuk-kin (L). File Photos: HKFP/GovHK. 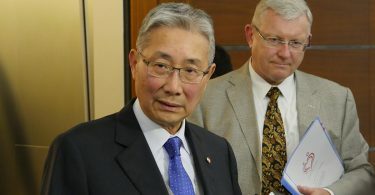 The High Court heard arguments from each party in order to decide whether to grant leave to Kwok and Cheung for a substantive trial. Judge Thomas Au Hing-cheung, who presided over Thursday’s hearing, ruled last November that two localist lawmakers were disqualified from the legislature on the basis that they had declined to take their oaths of office. After the government challenged the duo in court, footage resurfaced of Leung neglecting the phrase “Hong Kong” during his oath-taking for the position of chief executive in 2012. Kwok asked the court to declare that Leung’s oath was inaccurate and that he should retake the pledge of allegiance. He told HKFP that he and his lawyers did not ask Leung to be disqualified because they believed it would be unlikely that the court would oust Leung owing to the wide public interest involved. Kwok originally asked the court to declare invalid the oaths of Leung and six pro-Beijing lawmakers, which would result in their disqualifications from office. He also told the court on Thursday that he no longer wanted to pursue the challenges against the six lawmakers. They added that the two applicants should have raised the challenge within three months after Leung took office. 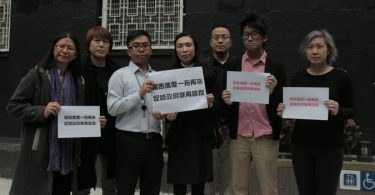 They were also late in filing the judicial review and lacked a strong legal basis, Leung’s lawyers said, adding that the applicants should pay Leung’s legal costs. The two ousted lawmakers Yau Wai-ching (left) and Baggio Leung Chung-hang (right). File Photo: HKFP. Counsel for Kwok agreed that Leung’s mistake was not deliberate, but said that he should rectify his mistake as a matter of principle. They added that Leung should be on an equal footing with those democratically elected lawmakers whose oaths are being challenged by the government. Kwok said outside the court that the he did not receive legal aid for the judicial review challenge, and is prepared to go bankrupt should he lose the bid. But he said he had no intention to seek public donations for paying for the legal costs. 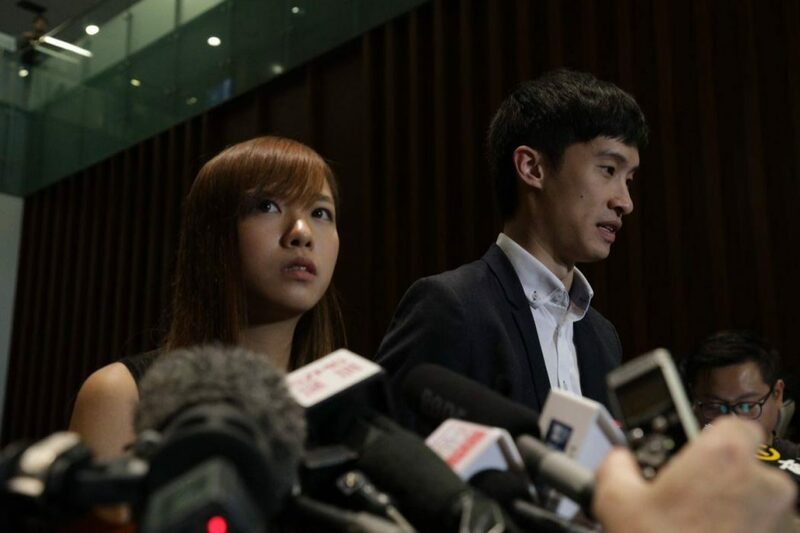 Judge Au will give a ruling on whether to grant leave to Kwok and Cheung at a later date.